There are moments in life which transcend expectation, which transcend time. And there are places in life which transcend those moments. Transcendent experience is something to hope for, even, to seek after. Yet, the fleeting nature of transcendence reveals an existential quality of mortality. 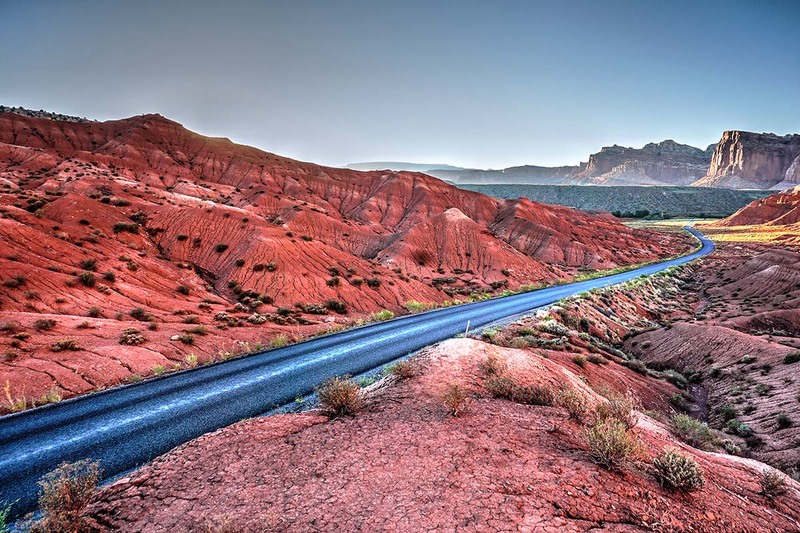 The road through Grand Valley, Capitol Reef. Transcendence can not be achieved, it can only be experienced. And, the experience of transcendence comes when least expected. It may be that transcendence is only possible when the imposition of expectation has been removed. Perhaps, in those moments, there is a void which only grace can fill. As grace reveals divinity, divinity reveals truth. Truth transcends the moment and our understanding of existence, who we are, where we come from, what our purpose is, becomes clear, or, if not clear, at least implied. In transcendent moments, inspired questions transform the heart. The sacred nature of transcendent transformation ennobles the soul. Chimney Rock from a distance, Capitol Reef. Capitol Reef is such a place–a place of transcendent transformation; transcendent because it exceeds expectation; transformative because it is slowly, yet contagiously transforming. I have , purposely, waxed philosophic. Indeed, the loftiness of the ideas expressed can not compare to the actual grandeur of visiting Capitol Reef, however briefly I was there. In geologic terms, any time that I could spend there, however long that might be, would be brief. Nevertheless,the time I spent in the park was transcendent. It is impossible to capture the essence of the place, nevertheless, the majesty of the rocks cried out for something beyond the ordinary. So, forgive, if you will, my HDR sensibilities. 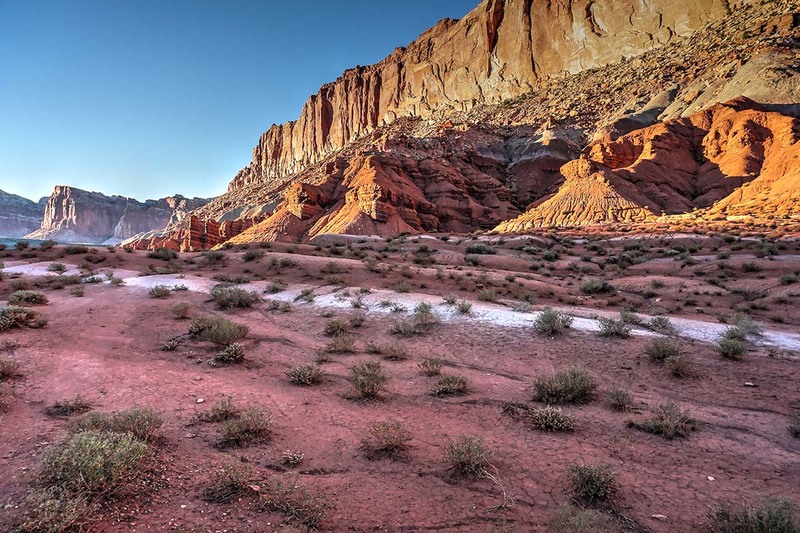 While the images presented may lean toward hyper-reality, the actual experience of moments in Capitol Reef transcends the ordinary and claims the extraordinary. Capitol Reef rock formation on the trail to Hickman Bridge. Freemont River cut, Capitol Reef National Park. Davy and Anne at Hickman Bridge, Capitol Reef. In the distance, Capitol Dome rises above the sentinels of Capitol Reef. Wide shot of Capitol Reef rock formation on the trail to Hickman Bridge. Thanks for visiting and thanks for your kind remark. Lovely thoughts, lovely photos, lovely family. Happy Birthday too!